Next in the very popular series taking an in depth look at our fantastic running club members, is Ann Tryssesoone who has been a member with us for over 10 years now, loves the mud and recently celebrated a very well deserved Most Improved female award at FVS Presentation night in January. When did you join the FVS ? Why did you join the FVS ? Got a bit tipsy on a New Years party and boosted to a friend that I am getting fit and wouldn’t mind doing a marathon. I had never run in my life!!! She – a regular runner – informed me of the distance involved. I gulped and agreed to run a half together. Got the shoes and started to run: 1min on – 1min off. It turned out to be 15 seconds run and 2 hours recovery as my lungs were burning. I sort of gave up but didn’t tell my friend. She didn’t mention the half for a whole year then she informed me that she had entered us both for the Silverstone half a marathon. I ran it and kept running ever since. As a running club, what does FVS mean to you and provide you with ? FVS stood for Friends, Variety in training and being Slow. Now I have changed the s for Speed (sort of – in my mind) but still enjoy the friendship and running in a group. What’s been your racing highlight to date, since joining the Spartans and why. 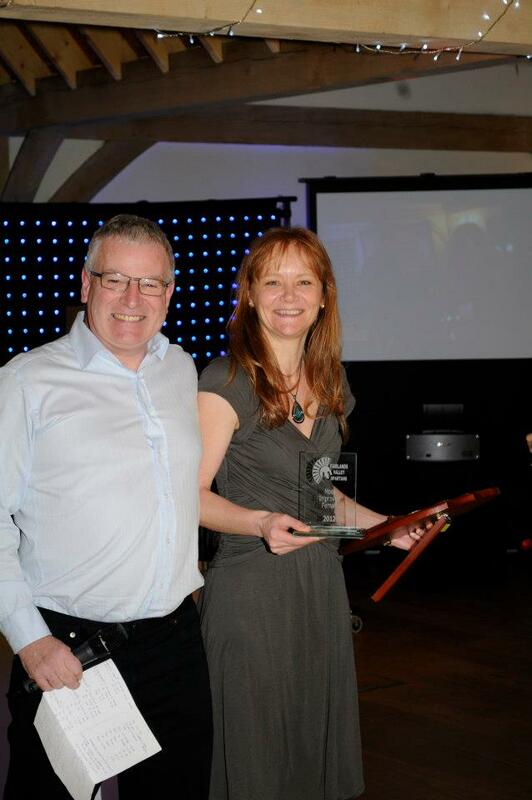 There has been many highlights to date however receiving the “most improved female runner of 2012” award has got to be it. The award was totally unexpected but proves that consistency pays off. Which race has been the best you have taken part in and why ? It has to be my 1st half a marathon at Silverstone: I didn’t think I could run the distance. What is your favourite running distance(s) ? I enjoy muddy and hilly cross country races and half marathons. What are your running goals for the future, either short term, medium or long term goals. My main goal is to remain fit and injury free. I have been plagued by shin splint for a long time therefore very weary of anything over half a marathon. I hope to run a few half’s at the end of the year. What other Sports and hobbies do you have in your spare time ? Time permitting I like gardening, photography and love painting (canvas). I also enjoy travelling. What’s the most interesting fact about you, that your friends at the running club would not be aware of ? Thanks very much Ann for taking the time for this. If your interested in becoming a future Spartan in the Spotlight, then please contact Andy Jay at the club or leave a comment here.